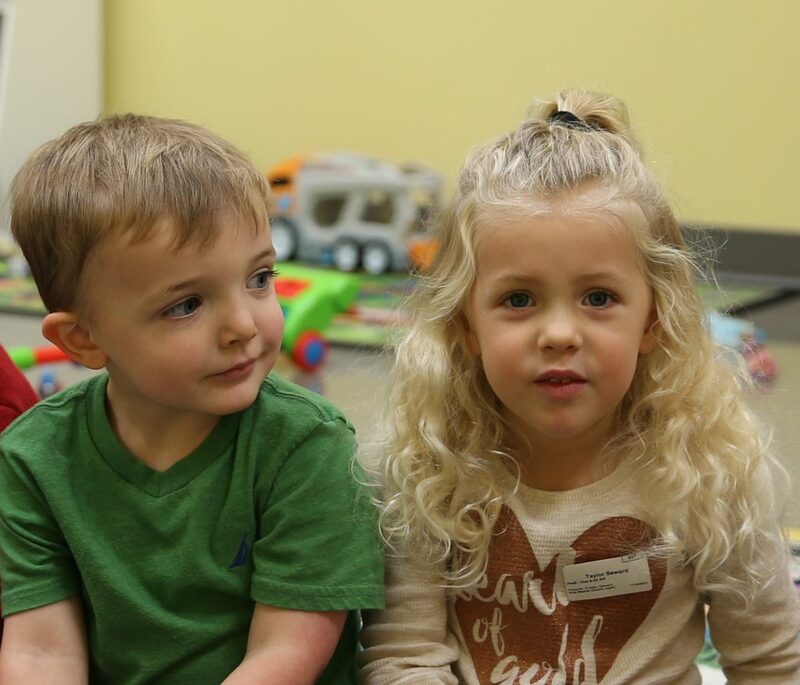 Welcome to First Friends Academy Preschool! First Friends Academy Teaching Staff is dedicated to creating a positive learning experience for preschoolers. Our goal is to meet the spiritual, emotional, mental, physical, and social needs of your child in a loving environment. 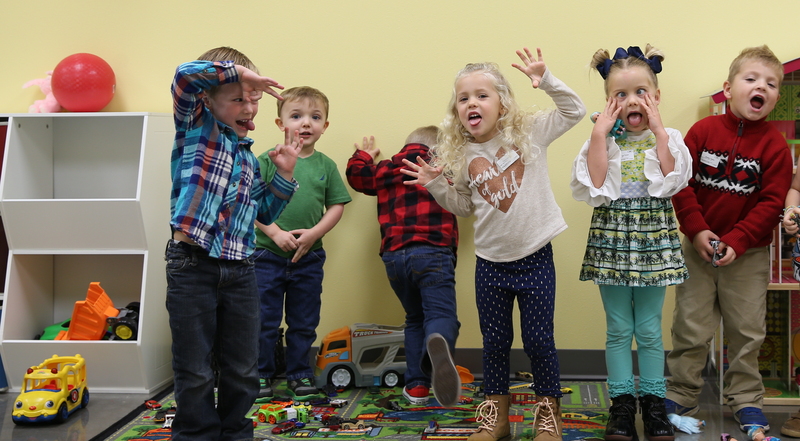 Each class is designed to meet age appropriate objectives, Bible stories & verses, art, large & small group activities, and learning centers. Our Specials Teacher assists your child with music, art, and large motor skills. Objectives are available upon request and each child is assessed and a completed objective sheet is included in their end-of-year book. Parents will complete and turn in an enrollment/medical release form, the non-refundable registration fee, and your child’s current immunization record before your child is enrolled. Please make checks payable to FBC Joplin with First Friends Academy in the memo line. Tuition is due by the 1st of the month. If paying in cash, please get a receipt from the director. A $10 late fee will be added if tuition is not paid by the 10th. 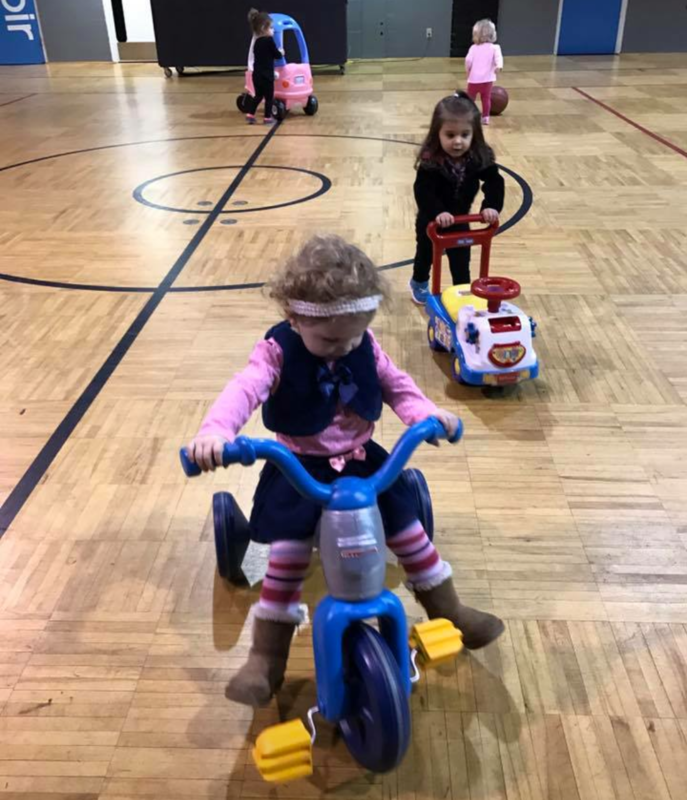 Classes are open to receive children at 9:00 am. Please do not leave your child alone in the hall waiting for teachers to open the door. Please pick up your children promptly at 2:00 pm. For your convenience, FFA has a pick-up line under the portico at the church’s main entrance. Drive west in the parking lot then turn to enter the portico going east. Please notify your child’s teacher if someone other than yourself will be picking up your child. If your child is not picked up by 2:10, a $5 late fee will be added for every 5 minutes until picked up. Our 1’s and 2’s classes lay down at 12:30 pm for naptime. Please dress your child in play clothes. We do have activities that are messy and accidents happen. Please provide a change of clothes for your child in their bag each time they come in case of an accident. We do go outside on “chilly” days (45° or above.) Please dress your child appropriately. Please no flip-flops or cowboy boots. Label all backpacks, clothing, lunch boxes, containers, and blankets with your child’s name. In case of accident or injury, we will attempt to contact a parent immediately. If needed, we will take your child to Mercy Hospital. If your insurance requires you to use another facility, indicate this on the medical release form. Parents will be expected to assume responsibility for any resultant expense. Please contact your child’s teacher if you wish to celebrate your child’s birthday in class. Party invitations should not be given to teachers to hand out. Our four holiday parties (Fall, Christmas, Valentine’s Day, & Easter,) will be organized by homeroom moms, helpers and teachers. The Pre-K and 3-yr-old classes will take field trips during the year. Parents will be notified in advance and a signed permission slip is required. First Friends Academy Preschoolers will be transported in FBC vans. If your child exhibits any signs of illness within 24 hours before class, do not bring him/her to class that day. These signs include a fever, cough, upset stomach, diarrhea, rash, eye infection, etc. NEVER put medicine in your child’s lunch box. Please adhere strictly to this policy. We will close due to bad weather when Joplin Public Schools are closed. There will no reduction in fee due to inclement weather.